Regulations for Personal Protective Equipment (PPE) have been in place for many years, yet PPE can still be contentious. I have asked some questions that I think are important. How do you know if PPE is required? Should employees pay for PPE? How do you spot illegal PPE? A risk assessment will show what kind of PPE is required. A lot of companies buy in PPE based on cost; that is, procurement managers think ‘We need to supply work boots and we can get them for £10 per pair, and this manufacturer just makes the standard we need’. This kind of thinking can be a false economy as the boots may or may not last, they may well be uncomfortable to wear and so cause problems to the wearer. It is always better to buy in a decent standard of PPE rather can cut costs. PPE is not just about protection, it’s about being able to do the job comfortably and safely while carrying out the task, bearing in mind that the PPE was a last resort in eliminating risks to safety. The relevant regulations that pertain to whether employers have to provide their workforce with PPE are in the Personal Protective Equipment at Work Regulations, 1992. "PPE is not just about protection, it’s about being able to do the job comfortably and safely while carrying out the task"
In order to provide PPE for their employees, employers must do more than simply have the equipment on the premises. The employees must have the equipment readily available, or at the very least have clear instructions on where they can obtain it. PPE is defined in the regulations as “all equipment (including clothing affording protection against the weather) which is intended to be worn or held by a person at work and which protects him against one or more risks to his health or safety.” This can include anything from safety helmets, gloves and eye protection, through to high visibility clothing, safety footwear and safety harnesses. 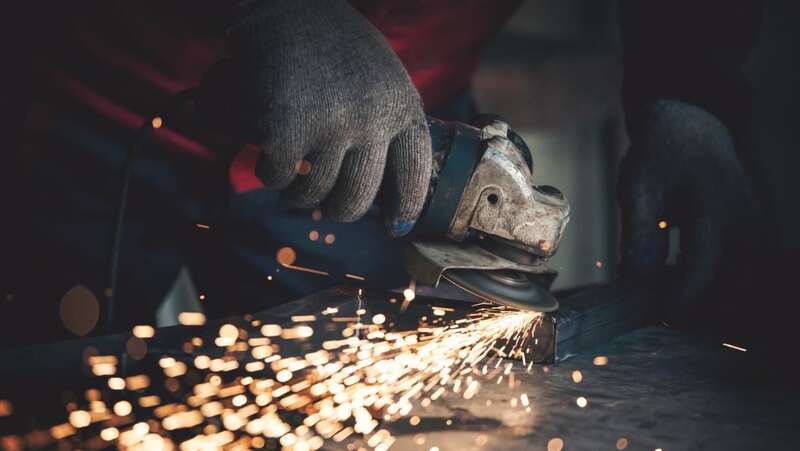 Hearing protection and respiratory protective equipment provided for most work situations are not covered by these regulations because other regulations apply to them. These items do need to be compatible with any other PPE provided, however. Cycle helmets or crash helmets worn by employees on the roads are not covered by the Regulations. Motorcycle helmets are legally required for motorcyclists under road traffic legislation. Read more about the history of PPE? The main requirement of the PPE at Work Regulations,1992, is that personal protective equipment is to be supplied and used at work wherever there are risks to health and safety that cannot be adequately controlled in other ways. Can I charge for providing PPE? An employer cannot ask for money from an employee for PPE, whether it is returnable or not. This includes agency workers if they are legally regarded as your employees. If employment has been terminated and the employee keeps the PPE without the employer’s permission, then, as long as it has been made clear in the contract of employment, the employer may be able to deduct the cost of the replacement from any wages owed. "by virtue of Section 9 of the Health and Safety at Work etc Act, 1974, no charge can be made to the worker for the provision of PPE which is used only at work"
Now that we know that the regulations say that PPE should be provided free of charge, is this always the case in practise? More than one in five workers is being forced to pay for lifesaving PPE, despite laws that say employers must provide it free of charge. TUC (Trades Union Congress) survey findings released recently report more than one in every ten (11.6 percent) respondents said that although they were required to wear safety equipment of some kind, their employer failed to provide or pay for it. A further 8.9 percent were made to pay for any replacement equipment if their original PPE was damaged. In total more than one in five (20 per cent) respondents to the survey said they had to pay for providing or replacing all or some of the equipment they needed for their work. PPE includes protective clothing, helmets and goggles designed to protect workers from injury, electrical hazards, heat, chemicals, and infection. Women workers were even less likely than men to have this safety equipment provided free, with more than 15 percent having to provide all or some of their own attire – usually foot protection or overalls – compared to 10.5 percent of men. Of the workers whose equipment needed cleaning, 60 percent claimed that their employer made no arrangements for providing, or paying the cost of, cleaning. TUC general secretary Brendan Barber said: “The fact that so many employers are flaunting the law is an absolute scandal,” adding: “Safety equipment is needed to ensure that workers are protected from injury or disease, yet there appears to be very little enforcement of the law. “As a result many workers – often those in low-paid service jobs like catering and cleaning – are having to fork out from their own pocket, or go without. This must stop. An influx of substandard and fake personal protective equipment to the UK is putting lives at risk, the TUC has warned. The union body says the problem sometimes arises when firms purchase PPE made for use outside Europe, where standards are lower, but it says some workers are also being put at risk as a result of counterfeiting, with cut-price products available online attracting employers looking to reduce costs. A checklist advises reps to ensure PPE is purchased from a reputable supplier and displays the logo of the Registered Safety Supplier (RSS) scheme. It also provides other pointers on correct labelling and safety marks. Having looked at the regulations and how they are enforced or abused we should decide how we are going to apply them as safety professionals. A risk assessment tells us what kind of PPE is required for a specific task but there are some sites where certain types of PPE are mandatory. This is not a new concept as we have been wearing hard hats, protective footwear, high visibility workwear on construction sites for many years. I believe the answer is no, it should only be used if a risk assessment requires it. During the thread, however, it became apparent that here in the UK most safety professionals were against it (going for the risk assessment route) but in the United States it was mandatory to wear eye protection on all major sites. This is a policy concept that is spreading, causing quite a few problems on job sites, and a fair amount of controversy among health and safety professionals. This is where your employer issues everyone with a bundle of PPE and makes it obligatory to wear it all the time, wherever you are in the workplace or on a site. One view credits such employers with being conscientiously proactive. Another view is that it amounts to little more than lazy health and safety management, because PPE is being widely distributed and used as the first resort, instead of spending the necessary time and money to carry out proper risk assessments and establish good risk controls. "I believe we should be engaged more by employers and safety professionals"
Ask why PPE of any kind is being brought in, particularly if you know that there are gaps in the risk assessment system. Raise the possibility of attempting to reduce hazards in the workplace by other means, bearing in mind that PPE should be the last resort. Where you believe it is valid, point out the potential for the introduction of new hazards. Are people having to wear goggles or safety glasses in the rain? Are ear defenders preventing people from hearing reversing vehicles? Are the wrong type of gloves impairing someone’s dexterity and adding to the potential for an accident? There’s nothing ‘manly’ about being driven to the Accident and Emergency ward of the hospital by your first-aider. Being injured in a game of rugby is one thing – daring a machine to hurt you, and losing, impresses no one. There’s nothing manly about having your bum wiped by a nurse while you’re laying in a hospital bed, because you thought it was ‘wuss’ to wear a high visibility vest. Looking through this editorial there is one more question that needs to be answered and that is, ‘How do we stop these practises’? As a trade union health and safety rep and a safety professional, I believe we should be engaged more by employers and safety professionals. Consultation about risk assessments, suitable PPE and suppliers would improve working relationships as well as improve the standards of PPE. There are regulations in place for this to be the case, but that is for another day. Employees paying for PPE is a clear breach of the regulations, and given the cuts to HSE budget, could be seen as more of an issue. Given the recent introduction of Fee For Intervention, (FFI) perhaps it is only a case of highlighting the breach so that employees were aware that they could inform the HSE and action would be taken against any employer not providing PPE. Employees could be made aware through trade and national press funded by a combination of trade union, HSE and perhaps a professional organisation like IOSH.